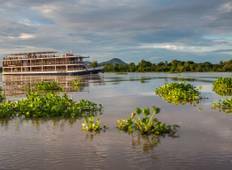 A tour starting in Siem Reap is a great way to see Asia. We have 114 tours that range from 3 days up to 29 days in length. 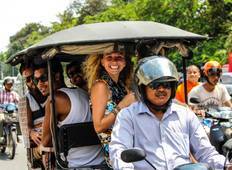 The most popular time for tours leaving Siem Reap is September, which has the most tour departures. "It was a great trip with a varied itinerary! My favorite part was Angkor Wat. I enjoyed..."
"Tour was a combination of 2 -Vietnam and Cambodia - great experience and exceptional..."
"Enjoy everything. Will join this tour company again in the future." "Outstanding experience! Would travel with SocialCycles again in a heartbeat. Brett..."